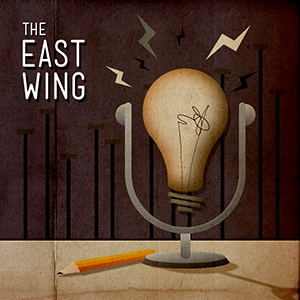 The East Wing is a show about the web and those who create it. Tim talks with Laura Kalbag about Ind.ie, privacy and why we should care about it, transitioning to a full-time position, and mentoring students. Tim talks with Katy DeCorah about moving jobs, working at Mapbox, working remotely, tinkering with code, and more. Tim talks with Dave Rupert about ShopTalk, the ever changing web industry, and what adjustments he’s had to make personally. Tim talks with Jonathan Cutrell about how he got started, his new hit show Developer Tea, and the things no one wants to talk about when it comes to hiring and asking for money. Tim talks with Jason Snell about the start of his interest in technology, working at MacWorld, writing for himself, and more. In the last episode of The East Wing, Tim Smith talks with Chris Kennedy about his start, working with Google, starting his own thing (again), and being involved in the web community. Tim Smith talks with Julie Ann Horvath about her start on the web, working on big products, her side-projects, and bright future. Tim Smith talks with Jim Dalrymple about the challenges of running The Loop, becoming confident in one’s opinion, creating a loyal following, and of course we discuss the latest Apple rumors and what’s coming up at WWDC. Tim talks with Shawn Blanc about his beginnings, taking his site full-time, his daily podcast, and the other sites that he writes on. Tim talks with Brandon Mathis about his beginnings, freelancing, his many side projects, and how he balances it all.